Buses in India are often driven very rashly and almost all of them don’t have seatbelts. In case of bus accidents, passengers are either thrown out of the bus or are violently thrown around inside the bus due to the lack of seatbelts. 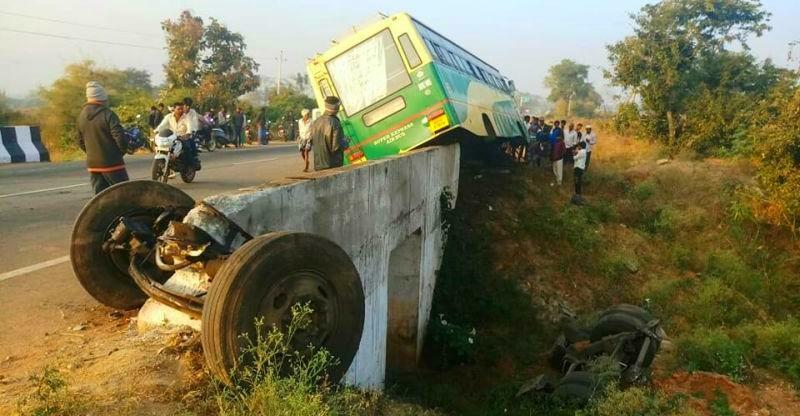 Here is a bus crash from Kerala that shows why buses also need seatbelts. According to a passenger’s eye-witness account, the driver of the Kerala Road Transport (KSRTC) government bus dozed off at the wheel during a night journey. The bus went out of control and hit a barricade. The impact was such that the bus conductor, seated beside the driver at the front, was thrown out of the windshield and crushed under the wheels of the bus. 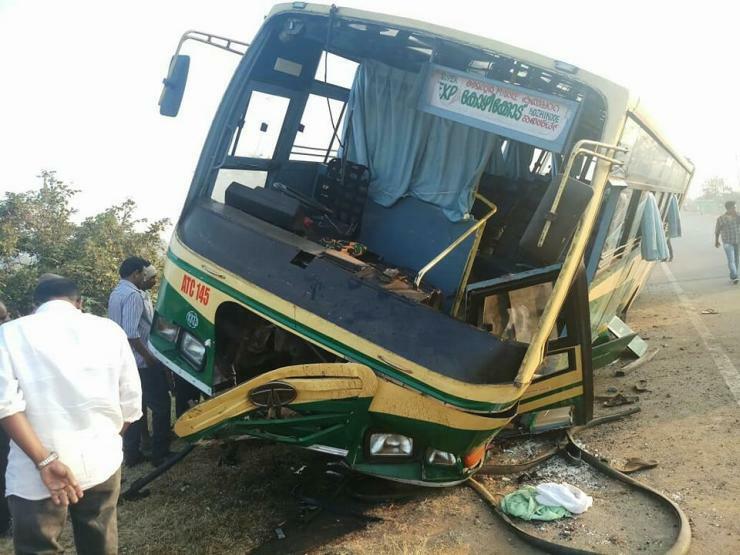 This prompted the passenger to write an open letter to the CM of Kerala, asking for seatbelts on all long distance buses as many passengers were badly injured in the crash after being thrown around inside the bus. Having seatbelts in the bus, and the passengers wearing them, would have prevented injuries, and also the conductor from being thrown out of the windshield. Time and again, we see accidents on Indian roads where passengers could have survived had they worn seat belts. A seatbelt restrains the passenger to the seat of the vehicle during the crash, preventing her/him from colliding into other parts of the vehicle, and also ensures that the passenger isn’t thrown out of the vehicle when it topples. Some high-end luxury buses manufactured by Volvo, Mercedes Benz and Scania come with factory fitted seatbelts. However, most long distance bus operators do away with seatbelts when they change seating configurations to squeeze more people into the bus. This is a very dangerous practice, but the government’s transport department seems to be turning blind eye to this.